Whimsy and Parchment... : Book Outlet Book Haul! So here's a picture of them all but I thought I'd run through each of them and why I ordered them. Mila 2.0: First of all, I bought this one because of the absolutely gorgeous cover. I'm a sucker for blue, and I love the digitalised tone of this one, making the girl look like she's dissolving into pixels... The pitch is that Mila is a young girl living a lie - she was designed in a lab and programmed to do things that regular people can never do. The book is an exploration of her learning about herself and how she goes on the run to escape people who want to capture her for her technology and abilities! Sounds pretty cool, imo. Around 500 pages but the print is pretty big so I think it won't take me too long. Parallel: I've always been fascinated with the idea of how our split second decisions can impact our life, and this book is supposed to go into that sort of thing. Again, the cover is very pretty, and the description details how Abby, at eighteen, suddenly wakes up in a seemingly different world, where her past is different, and the story is to unfold from there... I am intrigued! Rot & Ruin: One word: zombies. No seriously, that's pretty much it. That and the fact that it seems as though many people I respect love this book and series, and I love the pitch that this is a story about Benny (the main character) learning about human character through interacting with zombies. Glow: Hmmmm. This one has the pitch ''Glow begins the most riveting series since The Hunger Games' on the back. Pretty big shoes to fill! We'll see... This is supposed to be a story of a people travelling through space, on their way to a new planet to populate it. But what happens when young girls are a precious commodity, and one group betrays another? That's what this book is supposed to be about, and it seems to hint at some romance, too. Extraction: This book starts with the sentence Today I have to prove I deserve to stay alive. Pretty sweet :D I'm really excited about this one. Clementine has been waiting all her life to go to the safer 'Core', away from the Surface... But then she has to leave without Logan, the boy she has fallen in love with. Things are not always what they seem, though, and when Clementine finds out that Logan and the others are in danger, she knows that she has to do something. 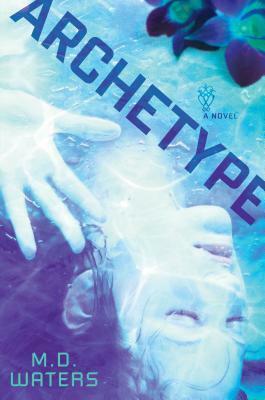 Archetype: The cover on this is gorgeous, seriously. Here is a link if you're interested. This is a story of a woman who wakes not knowing the truth about her past, and the two men in her life, Declan and Noah. The description has the following line: Emma fights for freedom but is held captive by the love of two men—one her husband, the other her worst enemy. If only she could remember which is which. . . . Sounded intriguing enough for me to grab it!